Real Madrid midfielder Marcos Llorente has emerged as a surprise target for Paris Saint-Germain ahead of the summer transfer window. According to the football transfer rumours in Spanish Media, Paris Saint-Germain are considering bid for Real Madrid midfielder Marcos Llorente. Marcos Llorente has joined Real Madrid from Rayo Majadahonda in 2008. The 22 year-old has a valid contract with Real Madrid until June 2018. Since August 2016, Llorente was loaned to Alavés until the end of this season. 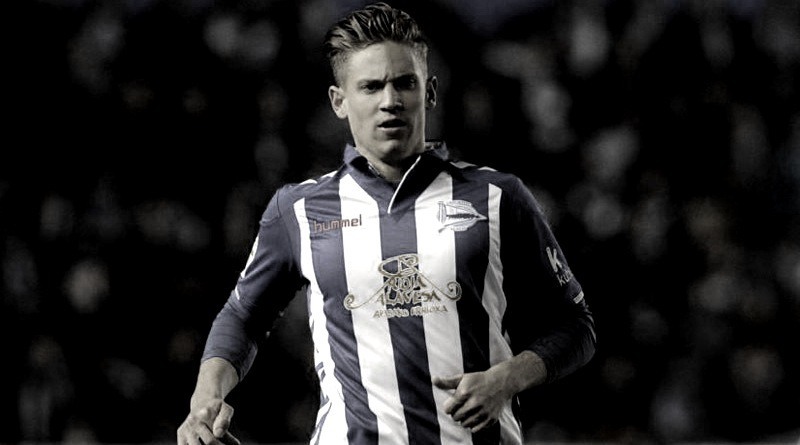 After his arrival from Real Madrid, Marcos Llorente has provided three assists in 31 games for Alavés in all competitions this season. The 22-year-old is considered to be one of the most talented midfielders in La Liga. Marcos Llorente has represented Spain at Under-19 and Under-21 level, winning seven caps. The Spain international is a player who has impressed many European clubs in the last season, and it is understood that Paris Saint-Germain manager Unai Emery would prefer playing him as a defensive midfielder. Euro Football Rumours understood that Paris Saint-Germain are preparing an offer in the region of 60 million euros for the Real Madrid prodigy.